OUR key verse is John 16:1 but first of all I would ask you to consider Joshua 2 where we find a sequence of verses which remind us what a powerful thing the truth is. Rahab said to Joshua's spies: "I know that the Lord has given you the land, and your terror has fallen upon us, and all the inhabitants of the land melt away before you, for we have heard how the Lord dried up the water of the Red Sea before you" (2:10). Joshua may have been in great anxiety as to how to conquer Jericho, but in fact Jericho was already conquered. Jericho's armies were already overcome; the mortar between the stones of its walls was already loosened and ready to fall out; and the agent which had done the work of overcoming was the truth about God. According to Joshua 2:9-11, truth is powerful in the conquest of the world. Once the truth about God penetrates, the world's defences begin to crumble. Christian liberty in individual experience is related to the liberating power of the truth as it operates for those who make God's Word their home. Jesus said to the Jews who had believed Him: "If you make my word your home, then are you truly my disciples". This, I feel, is a very vivid translation and is followed by the assurance: "... then are you truly my disciples, and you shall know the truth, and the truth shall make you free" (John 8:31-32). As we follow the sequence in John's Gospel we find the Lord Jesus saying: "This is life eternal, that they should know thee, the only true God, and him whom thou didst send, even Jesus Christ" (John 17:3). The very possession of life depends upon this knowledge of the truth. What a powerful thing the truth is, God's truth! Powerful against the world, powerful to bring life to the Christian, powerful to bring the Christian into the full enjoyment of life. When we come to John 16:1 we find that the Lord Jesus referred to this matter when He said: "These things have I spoken unto you ...". I have shared this truth with you because it is so powerful that once it enters into you, then there will be no breakdown of your faith. The truth will hold you in Christian constancy. This is the recipe and remedy for spiritual breakdown, the guarantee of a steady course against life's pressures and the sudden onslaughts of the world, the flesh and the Devil, namely, the knowledge of the truth. Our privilege now is that we are not considering what might be called an ordinary truth, not even an ordinary truth about the Lord Jesus, but the truth about all truth, the truth about The Godhead. Our privilege is to listen to God talking about God. There are four statements in this connection. "I will pray the Father and he shall give you another Companion." "But the Companion, the Holy Spirit, whom the Father will send in my name, he shall teach you all things and bring to your remembrance all that I said to you." "When the Companion is come whom I will send unto you from the Father, even the Spirit of truth which proceedeth from the Father, he shall bear witness of me." We are confronted with what God says about God, the doctrine of the Holy Trinity. This is the ultimate truth, and it is therefore the ultimately safeguarding truth. The Holy Trinity is not a mathematical puzzle. God is not a subject for curiosity or research. Consequently we read that Mount Sinai was guarded by a clear boundary lest, as the Lord said to Moses, "the people break through unto the Lord to gaze ..." (Exodus 19:21). God is not to be the object of man's curiosity. That is why the cherubim covered their faces (Isaiah 6:2). Why did they do this? Because God is not to become a matter of curiosity, He is not there for research, even by the cherubim. The natural lusts that war within, the hostile men that mar my course. Against their fierce hostility, I bind to me these holy powers. So, with the teaching of the Lord Jesus, we bind ourselves to the strong name of the Trinity, trying to approximate our thinking in some measure to His as we contemplate the mystery of the Three who are also One. I am not at all sure that complementariness is the best word to use, but it is as good as any to describe what in the first place I want to share with you, the idea of the dove-tailing functions within the Holy Trinity as affirmed in these four passages. The unity is displayed in the absolute integration and interlocking of activities. Within the Trinity there is the presidency of the Father. It is His prerogative to act and to take the initiative in blessing: "I will pray to the Father and he will give you"; "The Holy Spirit whom the Father will send ...". Likewise it is the Father who has the resources to perform the actions and to bring blessing to the Church: "The Companion whom I will send to you from the Father". The resources are stored up in the Father and come from Him. Likewise, the Father possesses the authority which rules over all: "... the Father is greater" (14:28) and "I am the true vine. My Father is the husbandman" (15:1). These few verses bring out the obvious thought that there is a presidency and primacy of the Father, as the very name Father, in relation to the name Son, would of course suggest. It is worth reminding ourselves that other Scriptures relate that presidency not only to experiences of blessing for the Church, but even to deity itself. When we speak of the Father and the Son, we are not taking something that in the first place is true upon earth and speaking by way of analogy of what is true in heaven, but rather of that which is first true in heaven and has its only perfect expression in heaven, and then is reflected in the pale and feeble analogy that we see in the father/son relationship on earth. This seems to be the plain meaning of Ephesians 3:14-15 which speaks of the Father "from whom all fatherhood in heaven and earth gets its name". In heaven there is a reality of fatherhood and sonship which itself means that there is a primacy and presidency of God the Father even within the mystery of the Holy Trinity. This is certainly brought out in Hebrews 1:1-3 where the Lord Jesus, the second person of the Trinity, is not only spoken of as Son, but is described as "the brightness of his glory and the express image of his person", as though to say that the Father Himself is light and the effulgence which derives from the light is the Son. The Father is the essence of deity concentrated, and the Son is that essence stamped out as wax upon a seal. These are the images which the writer uses and they stress the presidency of the Father. Secondly, in the interlocking functions there is the mediation of the Son. The Son has the office of bringing our needs to God the Father, who is the source and giver of all, and of bringing back from the Father all the resources which He wishes to lavish upon us. So He says: "I will pray the Father, and he will give ..." (14:16). The Son brings our needs to the Father, and in His [62/63] mediatorship and intercession, what the Father possesses becomes ours. The other side of this is found in the statement, "When the Companion is come, whom I will send to you from the Father" (15:26). Here again the Son occupies the middle place. As He brings our needs to the Father so He brings the Father's bounty to us in the Person of the Holy Spirit. In the complementary functions of the three Persons, it is the work of the Holy Spirit to apply the blessings of God. What the Father wills and the Son mediates, the Spirit brings to us: "All things whatsoever the Father hath are mine; therefore said I that he shall take of mine, and shall shew it unto you" (16:15). In the gracious and almost unobtrusive way in which Jesus fulfils His mediatorial role He mentions that because things belong to the Father, they belong also to the Son, and in the same gracious way the Holy Spirit does the applicatory work. The Father is the Source, the Son is the Ground and the Holy Spirit is the Means of blessing to the Church. First of all, Jesus says that where the Spirit is, there He Himself is: "I will pray the Father, and he will give you another Companion that he may be with you for ever, even the Spirit of truth whom the world cannot receive, for it beholdeth him not neither knoweth him. You know him, for he abides with you and shall be in you. I will not leave you desolate; I will come to you" (14:16-18). When the Spirit comes as that other Companion, it means the presence of the Lord Jesus, the abiding Companion of His people. Where the Spirit is, there Jesus is. Secondly, where the Son is, the Father is. To know the Son is to know the Father: "If ye had known me, ye should have known my Father ... Have I been so long time with you, and yet hast thou not known me, Philip? he that hath seen me hath seen the Father ... Believest thou not that I am in the Father, and the Father in me? the words that I speak unto you I speak not of myself; but the Father that dwelleth in me, he doeth the works" (14:7-10). To listen to Jesus, to see Jesus operating, is to hear the words of the Father and to see the works of the Father. Where the Son is, there is the Father. What is more, the indwelling Son means the indwelling Father, as the Lord told Judas (not Iscariot): "If a man love me, he will keep my words; and my Father will love him, and we will come unto him, and make our abode with him" (14:23). The indwelling Son means the indwelling Father. The explanation of this lies in Christ's words, "I and the Father are one" (10:30). The Greek New Testament shows us that the numeral 'one' in this case is neuter, that is, 'I and the Father are one thing'. A Concordance will show you that this neuter pronoun can mean 'one in intent and purpose'. However it can also mean 'one' in the inner reality of being -- one and only one in indivisible unity. So it is that Paul wrote in Ephesians of how the Lord Jesus had broken down the middle wall of partition and of the two who were formerly sundered, might make "one new man" (Ephesians 2:15), so defining the indissoluble but very complex unity of the people of God as the one new man in Christ. And where the Spirit is, there are the Father and the Son, for in this passage where the Lord Jesus says, "We will come unto him and make our abode with him", it is of the coming of the Comforter that He is speaking. 'I am going away' the Lord Jesus said, 'and He, the other Companion, will come, and when He comes, I will come.' The Father and the Son come, so in the coming of the Holy Spirit, there is the coming of the Holy Trinity to dwell within the believer. Beloved friends, the doctrine of the Holy Spirit is not a mathematical puzzle, but it is the ground and essence of our salvation and of our security. The greatness of our God quite surpasses our understanding. The first time that the Holy Trinity is revealed in the Bible was at the baptism of the Lord Jesus. That is the first time in which the Father, the Son and the Holy Spirit appear in the one text. The Father spoke from heaven to the Son as He was in the waters of baptism, and the Holy Spirit appeared in visible form as a dove descending from the Father to the Son. As we recall, when the Lord Jesus came to be baptised by John they spoke together in the river. But then everybody who had gone into the water to stand by John spoke to him, for they were openly confessing sin. No doubt those who watched on the bank nodded their heads together in their conversation, presuming that He too was confessing sin. In fact, however, the talking was that although John had not yet seen the Spirit descending, he did not feel that he could baptise this cousin of his. He recognised that Jesus had no need of a baptism of repentance for the remission of sins, but the Lord said to him: "Suffer it to be so now, for thus it becomes us to fulfil all righteousness". What did this mean? At its simplest level it was as though He said, 'We must go on with this, John, for this is the way to do what God wants'. What then did God want? He wanted His sinless Son to identify Himself with sinners, and when the Lord did this, the Father could contain Himself no longer and decided that what had been hid for all eternity must be publicly declared, so the heavens were torn apart, the Spirit descended and the Triune God, Father, Son and Holy Spirit stood revealed as the Saviour of sinners. Towards us the Holy Trinity is a unity of unanimity. Not the impersonal unity of a machine delivering the goods, but the unity of a Person, intently and lovingly determined upon our welfare. As we re-read those key verses, we sense again the confidence which they breathe, as they assume the goodwill of God, the willingness of Father, Son and Holy Spirit to bless us. "I will pray the Father and he will give you another Companion, that he may be with you for ever" (14:16). "will pray ..." -- the readiness of Jesus. "... he will give ..." -- the readiness of the Father. "... that he may be with you for ever" -- the readiness of the Holy Spirit. "The Companion, the Holy Spirit, whom the Father will send in my name, he will teach you ...". He is ready to come; the Father is ready to send Him; the Lord Jesus is ready to lend His name to the enterprise. "All things whatsoever the Father hath are mine; therefore said I, that he taketh of mine and shall declare it unto you" (16:15). In these words we feel and sense the willingness of God to give us without restraint the very outflow of Himself. Chapter 14 stresses the willingness of the Father in this enterprise: " He will give you ..." (v.16), "whom the Father will send" (v.26). Then in Chapter 15 we are told of the willingness of the Son: "When the Companion is come whom I will send ..." (v.26); while Chapter 16 emphasises the willingness of the Spirit: "He shall glorify me, for he shall take of mine and declare it unto you" (v.15). Father, Son and Spirit are bound together in the unanimity of determination to bless the Church. Here, then, in the great truth of the Holy Trinity, we can find the most powerful safeguard against any breakdown of our faith. If we alter Paul's words in Romans 8:31 ever so slightly, we may say in the light of this study of the teaching of the Lord Jesus: "If this God is for us, then who can be against us". IN going through Genesis we have spoken about the holiness of God and realised that it should not be limited to what is negative. We do not dare to say that God's reason for not doing certain things is just because He is holy, or indeed that His holiness consists in what He refrains from doing. It would be almost blasphemous to assert that God does not sin, and that this fact [64/65] defines His holiness. No, the first and foremost aspect of holiness is found in positive terms. He is holy in all that He does; it is because He is holy that He actually works to help and to save. Holiness culminates at the cross of Calvary. That is where we see His holiness in the giving of His Son to save sinners. Because He is perfect in all that He is, He does not leave His creation to its fate. Leviticus may help us to understand something of the meaning of holiness. "Notwithstanding, no devoted thing that a man may devote unto the Lord of all that he has, whether of man or beast, or of the field of his possession, shall be sold or redeemed; every devoted thing is most holy unto the Lord. None devoted, which shall be devoted of men, shall be ransomed; he shall surely be put to death. And all the tithe of the land, whether of the seed of the land, or of the fruit of the tree, is the Lord's; it is holy unto the Lord" (27:28-30). When we read this, we perceive that to be holy unto the Lord does not in the first instance have anything to do with ethical or moral qualities. The tithes of the land were neither good nor evil; they were fruit. The devoted thing was to be destroyed as being most holy. The field was holy because it belonged to the Lord, and we read also of holy oil, but in neither case was it a matter of being good or bad; ethical and moral qualities were not involved and yet they were holy to the Lord. This shows that the basic meaning of something being holy is that God has laid His hand upon it and claimed it as His own. The fundamental meaning of being holy is to be set apart as belonging to the Lord. Some things were to be destroyed, others to be used in His service, but all had been given over to Him. Without this basic meaning, we can hardly avoid wrong thinking about holiness. What God has laid claim to is holy; some of it is to be most holy, some is to be put to death and some to be used. We must exclude from our thinking all subjective moral qualities, for they are not directly concerned with the matter. 'Holy' is that which God has laid claim to whether it is gold, silver, oil, tithes or men. God had sanctified the people of Israel. He had chosen them, taken them out of the nations for Himself: "Thou art a holy people unto the Lord thy God, and the Lord hath chosen thee to be a peculiar people unto himself, above all peoples that are upon the face of the earth" (Deuteronomy 14:2). No-one imagines that the Israelites were paragons of virtue, and nothing like that is said about them, but they were holy unto the Lord because He Himself had chosen them. This placed an obligation upon them: "Ye shall keep my statutes and do them; I am the Lord which sanctify you" (Leviticus 20:8). This means that when a people or a family or a person is sanctified by the Lord, there are certain consequences of this fact. So it is that we read, "Sanctify yourselves therefore, and be ye holy; for I am the Lord your God" (20:7). The Lord says that He has sanctified us; we must sanctify ourselves. We must say 'Yes' to the fact, we must acknowledge it; we must allow it to dominate our consciousness that the Lord now declares us to be sanctified. In this personal sense of which I am now speaking, to be holy means to accept the consequences of the divine fact that the Lord lays total claim to us. He has separated us for Himself. From this fact comes the question dealt with by these two books of Leviticus and Numbers, that is, the practical outworking of holiness. God chose Israel sovereignly; they had no special qualities in themselves; indeed He told them not to think that He had selected them because they were better or greater than others. Virtue was not the ground for His choice -- far from it -- and the same applies to us. We must never imagine that God chose us because of our superiority over others. The reverse may well be true. Yet we are to be holy. How then can sinners carry through practical holiness? First we must be clear about what is involved in the word 'sin', especially as we are so used to the term that we tend only to apply it to specific transgressions. When he was little, the Danish writer Soren Kierkegaard upset the salt cellar on the table and was scolded by his father for doing so. Soren remonstrated, saying that it was not fair that he should be so treated when some days previously his sister had broken a precious soup tureen and not been scolded at all, whereas now his father was severely reprimanding him about a mere salt cellar. The father explained that in the case of his sister, the soup tureen was so valuable that she herself knew that [65/66] she had done wrong, so it was not necessary to scold her. It was just because Soren's fault had been so small that he needed to be blamed. Many years afterwards, Soren remembered this, and realised that the father's correction was not due to any anger on his part, but it was necessary just because the fault was such a small one. The same applies to us. If we commit great sins, we are shocked by them. When, however, our sins seem petty, such as gossiping with the kind of criticism which makes us feel more 'holy' than those of whom we speak, we do not recognise this as unholiness. This is because we do not measure our perfection with God's. Yet Jesus said, "Ye shall be perfect, as your heavenly Father is perfect" (Matthew 5:48). We may apply this to the Jews or to the future, asserting that it is different for us since we live under grace. In this way it seems comparatively easy for us to have to do with God, for we feel that we do not have to take Him too seriously. It was quite different with the people of Israel. They knew that the Lord their God was holy. At Mount Sinai they trembled and feared to draw near to Him. Even so, they were told that because He is holy, they were to be holy. Any Israelite who had the least sense of God must have wondered how that could be. Hence this book of Leviticus. It begins with several chapters which we may find unpleasant because of the constant emphasis on sacrifice. There were morning offerings and evening offerings, repeated every day and leading up to the great Day of Atonement. I confess that I could feel offended when I read of the thousands and thousands of sacrificial beasts being slaughtered, but I find comfort in remembering that He who does not let a sparrow fall to the ground unnoticed, must have known each trembling animal that was being led to the slaughter. There was a reason, and if we ask what it was all for, we must surely agree that for anyone who truly feared God it was a constant reminder of the seriousness of sin. Not that those sacrifices could of themselves bring peace to the troubled conscience. The truth was that all who truly believed received forgiveness for their unwitting sin because God knew that in His Son, before the foundation of the world, provision was to be made for the sin of that world. We can appreciate, though, that part of God's intention in ordering these constant sacrifices was to preserve among His people the need for dealing with sin. Alas, what is often repeated tends to lose its power by reason of familiarity, and it did this with many. We who have the one all-inclusive sacrifice of Christ must never fall into this error for, "By one offering He has perfected for ever them that are sanctified" (Hebrews 10:14). When sin has been taken away, then the way has been made open for approach to the holy God. That is what the New Testament emphasises for us that, unlike the Israelites who were excluded except for the High Priest's annual entry on the Day of Atonement, we may go into God's presence with boldness, as children coming into the intimacy of fellowship with the Father. Our basis of fellowship with the holy God is the shed blood of the Lord Jesus. But when we speak of holiness we must not limit our thoughts to the passive concept of cleansing. It is perhaps right for us to emphasise the meaning of the word to that of the exclusion of what defiles, but such in itself would be a limited holiness, a quality which we can prize but which will not be of much help to others. The Levitical sacrifices illustrate this but they also depict the positive holiness of a life wholly surrendered to the will of God. The first three sacrifices were a sweet savour to the Lord. This is not said of the other two, the sin and the trespass offerings which were truly a "shadow of the reality" of Christ's death on the cross which has taken away our sin and opened for us a way into the Holy of holies. But we must not overlook the significance of the "sweet savour" offerings, namely the burnt, the meal and the peace offerings. These also speak of the Lord Jesus and indeed we know that He is the only One of whom God could say, "... in him I am well pleased". It is " in Him " that God has taken away all our sin and guilt. But He has also provided for us that we might have perfect acceptance with the Father in the active sense of holiness, that is, in knowing the will of God and doing it. In every religion there is a man-made holiness which wins the admiration of its followers but is quite false. When I was in India I saw a man sweeping the path before him as he walked; his purpose was to avoid treading upon any living insect, and for this he was considered to be very holy. Self-made holiness is false and creates false standards. That is not what the Lord calls holiness. The Christian [66/67] faith does not produce that special kind of 'holy' man or woman. For us holiness is not a matter of special words or tone of voice or behaviour and it is not a speciality for the few, since we are all a holy people in which the Lord is gradually forming His own likeness, making us into those who learn to know His will and to do it. So we are made to realise that holiness is a matter of obeying God. It also involves worshipping Him. These two aspects are disclosed to us in the books of Leviticus and Numbers where, by positive example and by negative failure, we are shown what is involved in learning to grow in true holiness. We see in these two books the actual course of the sanctification of the people of Israel in terms of obedience. Several times they gave abundantly to God, and on one occasion they had to be restrained from bringing more. The leaders and the people brought their treasures because there was something in their hearts that spontaneously expressed itself by their glad and generous giving. Far from despising this, the Scriptures record it, for our example. The New Testament makes it abundantly clear that love is essential for true obedience, and the Holy Spirit within us has written God's perfect and good will in our hearts as well as conveying it to our minds. The Christian who longs for holiness not only has the Word of God to guide him but he can read it with the Spirit in his heart to turn what would otherwise be the dead letter into glorious liberty to obey gladly what he reads. Such a person is sanctified by having Christ formed in him, but he does not notice this himself, for he is always looking at the Lord Jesus and not at himself. Paul tells us that all the commandments, moral, ethical, ceremonial, about uncleanness and cleanness, about fasts and feasts, can be summed up in the single phrase: "Thou shalt love thy neighbour as thyself" (Romans 13:9). Growth in holiness consists of gradually learning to discern what is the will of God and then being constrained by the love of God to obey Him from our hearts. True holiness means worship. In the Old Testament rules were given in the greatest detail for the worship of God, for the erection of the Tabernacle in the wilderness, the priesthood, the Levites, the Sabbaths and the various feasts. The history of Israel soon showed that they neglected and soon forgot many of these things, and later we read in the historical books of their sudden discovery of the lost and wasted years. Not that outer ordinances lead to the worthy worship of God, but for them it was an opportunity to learn that true worship in the Spirit which characterises holiness. Unhappily we find in the book of Numbers how badly Israel failed in this matter of worship and faith. No people had more wonders done for them than Israel, both in Egypt and in the wilderness, yet signs and miracles did not create faith in them any more than they do now, though they can strengthen and support confidence in the Lord. All that God did for Israel did not lead them to learn to know Him. Even Moses -- and there was no-one like Moses -- did not reach the goal of perfect sanctification. That was found alone in the Lord Jesus. And what shall we say of Aaron, the High Priest, who sank so low as to provide the golden calf and who allowed Miriam to influence him to be jealous of Moses. She herself had led the women in the praises of God after they had come through the Red Sea but later the tongue that had sung God's praises was employed in jealous criticism of her brother and she spread an atmosphere of poison around her. Then there were Aaron's sons, Nadab and Abihu, who offered strange fire and Korah who stirred up such a rebellion that he with Dathan and Abiram went screaming into despair as the earth opened to swallow them. There seems no end to the unholy behaviour of the Israelites. So sanctification was not attained? Yes it was, for God remained holy. He was not dragged down by His people but maintained His unchanging holiness. And though all except Caleb and Joshua failed and were excluded from the land, God continued to do them good. He did not take away the pillar of fire and cloud, nor the manna. When the fiery serpents came He gave them healing through the brazen serpent lifted up. He gave His people victory. He led them on. He is faithful and good, and will never abandon the work of His hands. He is the Lord who has sanctified us. We are holy and therefore we are called upon to learn holiness. In Leviticus 19, a chapter full of practical commands, there is the constant repetition [67/68] of the phrase: "I am the Lord". God's purpose for us is that daily and in every detail of life we may learn to be committed to His Lordship. In verse 2 we read, "Ye shall be holy; for I am holy". This is our comfort. Our Lord is not only God the Creator and God the Redeemer; He is also God the Sanctifier. THE presentation of the Gospel of Jesus Christ has, from the beginning, been the fundamental task of the Church. Recognising this, Christians have for almost as long been discussing -- and disagreeing about -- a 'right' way to present it. We have how-to-do-it manuals on evangelism, and great campaigns, and Christians who believe that great campaigns are an equally great mistake. We have testimony meetings, but we also have those who believe that personal experience is irrelevant to the proclamation of God's message of grace. This being the case, it is instructive to turn to the Book of the Acts and ask how the earliest Gospel preachers presented the message of Christ. What 'technique', if any, did they adopt? 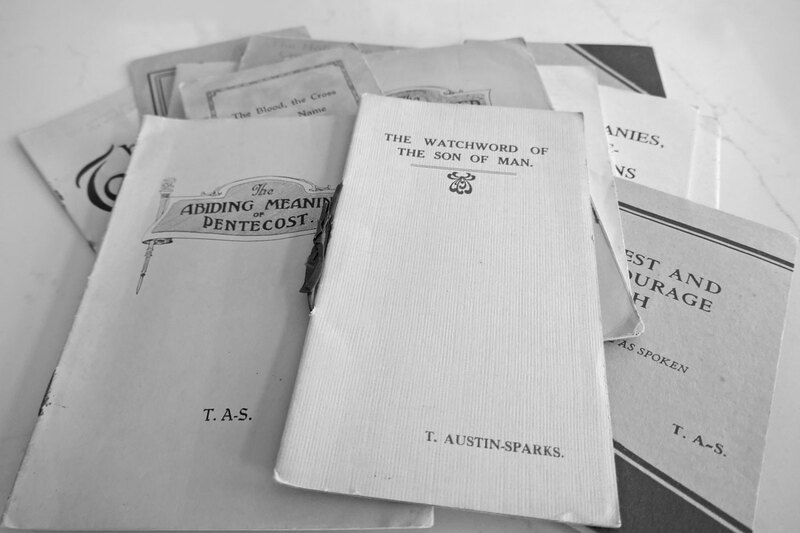 For Acts is full of preaching and witnessing, and although it seems unlikely that the accounts we have are in every case full reports of what was said, we can at least trace the outlines of approach and emphasis in the preaching. The two servants of God of whose preaching we have most evidence are Peter and Paul. And straight away we can say that the proclamation of the Gospel varied from individual to individual. The message might be the same -- and woe betide anyone who preached 'another gospel' while Paul was within earshot! -- but the sermons were different. This brief study will be concerned mainly with the preaching of Paul. That is not, however, because I want to denigrate the work of Peter. He was, after all, the very first preacher of the Gospel; his is the first sermon on record, preached as it was on the day of Pentecost. My point is rather going to be that the first sermon was the one Peter went on preaching for the rest of his ministry! In the best possible sense, Peter was a one-sermon man. As time went by, he marvellously elaborated his theme, with quotations from Scripture (and how, everybody asked, would a fisherman be able to do that?) and references to Jewish history. But what he was saying in Acts 2, 3, 4 and 5 formed, basically, a single theme and, whenever Peter returned to it, it seems to have had tremendous impact. If our one sermon were as effective as Peter's, I suspect that many of us preachers would gladly be one-sermon men! And that effect was felt not only by his Jewish audiences but equally by the Gentiles in Caesarea (Acts 10). One of the delightfully human touches in the story of Peter is his appearance at the house of Cornelius and his response to the invitation to preach. What, in effect, he said was, 'Well, you're Gentiles, and I haven't the slightest idea what the message to you people is supposed to be, but what we've been telling the Jews is this!' Whereupon he preached 'his' sermon and, before he had finished and to the astonishment of all -- including himself -- the Holy Spirit fell on his hearers. We shall not consider Peter's sermon in detail here: my purpose is rather to call attention to the contrast between his preaching, as we have it recorded, and that of Paul. A particular feature of the latter's was the way in which Paul varied his approach to suit his audience. After all, except for the occasion in the house of Cornelius, Peter had the same kind of audience on all the occasions when he spoke. How would he have reacted to a synagogue audience or a mildly interested crowd of amateur philosophers in Athens we do not know. But we do know that Paul's audiences included both these types and several more, and that the record shows him carefully adapting his message to suit the occasion. It has, of course, sometimes been argued that Paul ought not to have done this -- that if he had [68/69] stuck to the 'simple' proclamation of Jesus Christ, as Peter did, he might have achieved something worthwhile at Athens, for example, instead of that "some laughed ... but few joined him" (Acts 17:32-34, Living Bible). That is what happens, it is argued, when the preacher tries to become a philosopher! I have to say that I do not share this view, and that I think the matter is rather more complex. According to the Book of Acts, Paul faced, at one time or another, four kinds of audience, and the book gives us one or more examples of his reactions to each of the four. (1) There was the audience made up of listeners who had no idea at all of the Gospel message -- who had never heard of Jesus and were simply ignorant of everything about Him. Of this first type of audiences the crowd on Mars Hill (Acts 17) was a clear and self-avowed example: "He seemeth to be a setter forth of strange gods ... thou bringest certain strange things to our ears; we would know therefore what these things mean" (vv.18-20). In the same category, although we have few details, we might place Paul's 'reasoning' with Felix recorded in Acts 24:25. (2) Some of Paul's audiences were in Jewish synagogues, for it seems to have been his policy to join in synagogue worship whenever the opportunity arose. Here, his audience would consist of godly Jews, worshipping on in the tradition of centuries, looking -- perhaps despairingly -- for the promised Messiah. Since some of these synagogues were far from Jerusalem, in Asia Minor or Greece, Paul could assume little or no knowledge of the events which had convulsed Judea: until he himself spoke it, some of these audiences would never have heard the name of Jesus. Paul's sermon in the synagogue at Antioch in Asia Minor, reported in Acts 13, is the case study here. (3) On other occasions, Paul confronted an audience who knew all about Jesus. He did so when he spoke, "standing on the stairs ... in the Hebrew language" (Acts 21:40; 22:2) in Jerusalem itself and, again before Agrippa, when he expressed his satisfaction, "especially because thou art expert in all customs and questions which are among the Jews" (Acts 26:3). It is always a relief to a preacher when he can assume that his audience has some starting knowledge of what he is going to talk about! (4) The fourth category of audience by which Paul was confronted was made up of those who not only knew about Jesus, as in the previous category, but had been instrumental in bringing about His death and that of some of His followers. Their stronghold was, of course, in "the council" of the Jews. Twice (Acts 23 and 24) Paul confronted these men in a court hearing. How he reacted to them should prove interesting! Let us consider Paul's approach to each of these audiences, beginning with the least-informed category -- those to whom the name of Jesus was quite unknown. How do you present the Gospel under these circumstances? It seems to me that you make a start where Paul did, not only here but in the other categories as well: you look for whatever there is of common ground between you and your audience, and you begin there. So, whatever common ground was there between Paul and his Athenian listeners? With regard to the Lord Jesus and His role -- none! The only common ground between them consisted of a few very basic assumptions: the world exists, and we exist. However, from what Paul had seen in Athens, he could tell that his audience were prepared to go a step further; to account for the fact that the world exists, they were prepared to assume the existence of gods -- that is, the existence of another dimension of reality beyond the visible. It wasn't much to go on! However, we may as well note in passing that this 'common ground' was similar to that which the average missionary has to work on, and a good deal more extensive than Paul could rely on if he were to come back and preach to the same audience in contemporary Britain. Here, he might well fail to find any agreement at all over the existence of a god or gods, whether "unknown" (Acts 17:23) or otherwise. But the approach he adopted is surely relevant to all preaching: find the common ground you share with your hearers and work from that -- from the known to the unknown; from the accepted spokesman ("... as certain even of your own poets have said ...") to the new voice ("God commands all men everywhere ..."). What Paul did to begin with was to establish the fact that he and his audience did have something to talk about. He had, if I may use a [69/70] geographer's terms, located himself on their mental maps. They could no longer pretend that he was a "babbler" (17:18). He was talking their language! From here, he went on to focus on the weakness of their position -- on its inconsistency. He said, in effect, 'I understand your position, but I don't see how sensible people can hold it'. Quite simply, if there is a God at all (and they believed there is), then He cannot by definition be anything like we imagine Him to be. It belongs to the idea of God that He makes us, we do not make Him. Interestingly, Paul did not seek to prove that the making and worshipping of idols was morally wrong; that might have taken him all day and left them unconvinced. He simply chose to demonstrate that it was logically wrong, which was much quicker and easier, since he could do it by appealing not to some outside factor but to their own arguments. If God is not to be found, then, in wood or stone, where or how can we know Him? Paul's answer to this implied question was very careful -- carefully limited. He appealed to the universal sense that there is about the world of nature and man a suggestion of order. Not total order, but the feeling that there is a hand at work. It is like going into a garden and noticing evidence suggesting that a gardener has been there. We do not see the gardener, but there is evidence enough to make us feel that, behind the next box hedge, we shall come upon him planting or trimming: that "he is not far from each of us". And this is the atmosphere, said Paul, in which all human races exist: in it -- in Him -- "we live and move and have our being" (17:28). Please let us notice that this was as far as Paul went. He did not argue -- and neither should we -- that nature proves God's existence, let alone His character. We cannot find God by this means: we can only take the hints that we do see, and keep looking. If we confine the search for God to the evidence of nature, then we shall never arrive. Sooner or later (and for Paul the moment had arrived!) we depend on God revealing Himself. There is a real God, and we are His creatures. He has declared His laws. He will impose those laws or standards on all men in judgment. He demands the submission of all men. The change in tone is abrupt, from philosophy and Greek poetry to what we may be inclined to call 'real' Gospel! But I suggest that what this shows us is not that Paul was making a mistake, or suddenly realised that philosophy was getting him nowhere, and 'switched tracks'. Rather, he knew the limitations of the approach he was using, and employed it only up to that point where its usefulness ended. He used it to carry with him, as far as he could, an audience whom otherwise he would have lost at the outset, or who would have stalled him with endless preliminary questions. But now that he had switched from logic to declaration, Paul knew that the situation had changed. Although he had chosen his time well, in focusing upon the universal uncertainty of mankind about future judgment, he knew that he must immediately confront two questions: (1) how do you know by what standards this God of yours will judge? and (2) what evidence can you produce to support your assertions? No Athenian audience could fail to demand satisfaction on those points; at least, they would have got no marks in my university if they did fail to do so! Judgment of all kinds, whether in court or at a flower show implies standards. People tend -- and perhaps the Athenians did so -- to excuse themselves and their conduct by arguing that, since in the moral field we have no way of knowing precisely what the moral standards are, we cannot be held accountable to them. It is a comfortable refuge, but Paul took the roof off it! "The times of this ignorance God winked at" (17:30); that is, He did not at once make clear to everybody what His standard is: "but now" things have changed. Now the standard is absolutely explicit, and we either meet it or we do not. The standard is Jesus Christ, "that man [70/71] whom He hath ordained". There can no longer be any plea of ignorance. To tell a pagan audience who worshipped countless gods that the one true God was going to judge them by the standard of one man far away of whom, until that very moment, they had never heard was bound to raise the second question: 'Whatever is your evidence for making this astonishing assertion?' Why Jesus? Why not Socrates, or Aristotle, or Moses, or Caesar? Why not somebody famous? The objection was so obvious that Paul anticipated it without pausing to draw breath. It was his last point -- or, rather, the last point he was able to make before the meeting broke up. What is the basis for arguing that Jesus Christ, rather than anyone else who ever lived, is God's Man, God's standard? The answer is, of course: God raised Him from the dead. By doing so, He served notice that there is one morally perfect person by whom we are all to be judged, and He is alive. Let me review in this closing [sic] study, what I have so far suggested. It is that Paul adapted his preaching on each occasion to his perception of the audience before him -- to their existing beliefs and their world view. He started out from what he judged to be the common ground that he and they occupied, and moved from there to the weakness of their case and the Christian alternative. The end point of the message was always the same, but the route to that end varied, as we shall see next time. In the pagan world which we inhabit, the route that Paul took at Athens should be of particular interest to us, and will repay closer study. IN the course of his life and ministry Isaiah has given us a glimpse of the incarnate Son of God, sharing our adversity and reigning in majestic power. This third prophetic utterance in Chapter 11 foretells His Spirit-filled personality. Commentators have often associated this passage with the New Testament allusions to the seven-fold Spirit as described in the book of the Revelation (1:4, 4:5 and 5:6). Some find the parallel with the sacred seven-branched lampstand with the main stem of the divine lamp "The Spirit of Jehovah" and the three sets of twin branches, "wisdom and understanding", "counsel and might" and "knowledge and the fear of the Lord". Be this as it may, we note that the permanence of Christ's enduement with the Spirit is indicated by the phrase "rest upon him" which was precisely what marked out the Lord to John the Baptist who had not really known Christ until he could say: "I have beheld the Spirit descending ... and abiding upon him" (John 1:32-33). I am not competent to deal with the words used to describe each facet of the individual features of Christ in His seven-fold fullness of the Spirit, but from them I make the comment that they totally cover the understanding of the Lord Jesus and His activities. Our weakness is not only that we sometimes lack the determination to please God but that there are times when we find ourselves in real doubt as to what that will might be. The Lord Jesus never had such doubts. His was a perfect sensitivity to the will of God. We are natural men: He was the spiritual Man. This, however, does not only mean that He had a spiritual nature, as contrasted with our carnal one, but that He was at all times under the direct guidance and control of the Holy Spirit. We are told that it was the Holy Spirit who deliberately led Him into the desert for the forty days of testing (Matthew 4:1). Subsequently He announced to the people of Nazareth in their synagogue that God had anointed Him with the Spirit. After that not much is mentioned in the Gospels of how the Spirit led Him, but in his later preaching Peter disclosed that the whole ministry of the Lord Jesus was under the Spirit's government: "God anointed him with the Holy Spirit and with power; who went about doing good ... for God was with him" (Acts 10:38). At that time God was also with Peter, for he shared in the Spirit's anointing. Happily the same Holy Spirit has now come to dwell in the Church so that He may give insight as to the will of God to each one of us individually and especially to us in our life together. The Lord Jesus began His public work for God with a severe satanic examination; He emerged from that wilderness test with complete success and He did so because He knew both the letter and the spirit of the Word of God. Various people tried at times to trip Him up over the Scriptures, especially in the matter of the law, but He always displayed a superior insight into its true meaning. Speaking prophetically of the Servant of the Lord, Isaiah declared: "The Lord hath given me the tongue of them that are taught, that I should know how to sustain with words him that is weary; he wakeneth morning by morning, he wakeneth mine ear to hear as they that are taught" (50:4). What a vivid picture this gives us of the deep life in the Word which Jesus had. He was truly Spirit-taught. It was not just that He knew the words, but that God spoke directly to Him through those words. When Satan tried to deceive Him by misquoting the Scriptures, the Lord not only countered the tempter with another Scripture but made the additional thrust: "It is said ..." (Luke 4:12). The diligent student may become accomplished as to the letter of the Word, but only those who are equipped by God's Holy Spirit can discern its full spiritual import. The Sadducees tried to entrap the Lord by means of a Mosaic law about marriage which they twisted to argue the absurdity of a resurrection, but Jesus turned on them with the searing accusation of culpable ignorance: "Is it not for this cause that ye err, that ye know not the scriptures nor the power of God?" (Mark 12:24). Those who try to use the Bible for their own purposes without the enlightenment of the Holy Spirit are bound to be mistaken. It is surely not without significance that although the various descriptions of the Holy Spirit include the quality of 'might' (11:2), the main emphasis of the other aspects is on spiritual discernment. The Lord Jesus was so filled with the Spirit that He had perfect understanding of the Word of God. His repeated comment on the Old Testament in the Sermon on the Mount of the words "But I say unto you ..." was not in any way a contrast or a correction but rather a disclosure of God's true purpose in all these matters. It should be a great comfort to us to know that one of the main purposes of the coming of the Holy Spirit into our lives is to give us inward enlightenment, "a spirit of wisdom and revelation in the knowledge of him" (Ephesians 1:17). This is not apart from the Bible or in addition to it, but revelation by means of the inspired Word. May we not rightly assert that Christ's incredible insight into the minds of men was made possible by the Holy Spirit? We read, "He knew all men" and "He himself knew what was in man" (John 2:24-25) and very soon afterwards we are told that God gave His Son the Spirit without measure (John 3:34). I suggest that the latter explains the former. This is in accordance with Isaiah's prophecy, for he followed his list of the Spirit's activities in the Messiah by saying: "He shall not judge after the sight of his eyes, neither decide after the hearing of his ears; but [72/73] with righteousness shall he judge ..." (11:3-4). This spiritual insight would guarantee equity and faithfulness. Such discernment can be disconcerting, but it can also be supremely comforting. John followed his words about Jesus knowing what was in man by the illustration, "Now there was a man ..." (John 3:1). The chapter tells us of a man who by any superficial judgment might have seemed and sounded a great acquisition to the apostolic band, but who was nonetheless checked and even repelled by Christ's categorical demand for a new birth (3:5). The Lord Jesus had ability to perceive that Nicodemus was not really troubled about his sins, so He wisely refrained from accepting him prematurely. That was the kind of spiritual insight which all personal workers need. In this case happily the lasting fruit became apparent later when Nicodemus came to true faith and must have had the amazing experience of actually seeing the Son of Man lifted up. If in our reading we pass on to the very next chapter we will read of an encounter which Jesus had with a female member of the race of men. He knew what was in her too. Judged by the seeing of the eyes and the hearing of the ears, she represented hopeless material for His kingdom, yet the Lord Jesus both revealed Himself intimately to her (4:26) and encouraged her to ask for the indwelling fountain of life. The truth was, of course, that He discerned that underneath that unpromising exterior there was a contrite heart, thirsty for God. The rest of the story proves how right was His judgement, and how faithful "the sash round his waist" (Isaiah 11:5 N.I.V.). So we might go on. Again and again in the Gospels we read of the Spirit-filled Saviour's ability to discern men's inner thoughts, both of His own disciples and the crowds and also of His enemies. He saw through people. And He never made a single mistake, not even with that arch-deceiver Judas Iscariot. In the case of this man, however, the Lord kept silence until the end, for His own wise reasons. So much for wisdom and understanding, but the Spirit empowered Him not only to think aright but also to act. The Lord Jesus not only knew the will of God; He did it. He not only understood the Scriptures; He fulfilled them. He not only perceived men's hidden needs; He graciously provided for them. And He did it all by the Spirit, for wisdom is knowledge in action. We must not exaggerate the time which the Lord Jesus spent in prayer, for the Gospels make few allusions to the length of His prayer times. Those which are made, however, are most significant. We are told that He went apart very early to pray (Mark 1:35), and the occasion was important because it followed an avalanche of sick candidates for healing as the Sabbath ended and "All the city was gathered at the door". This left Him in acute need of knowing how He should react. Should He continue this healing session, as Peter seemingly urged Him to do? In the early morning solitary time of prayer and waiting on the Father, it became clear to Him that He must move on and concentrate on His main task, which was not healing but preaching. For Him to know was to act, so He paid no heed to Simon's implied plea for a return to the scene of the night before but replied, "Let us go elsewhere into the next towns, that I may preach there also; for to this end came I forth" (Mark 1:38). Then we are told of the great crisis when, from among His many eager followers, He chose the Twelve who would be His apostles. Before making these momentous decisions, He spent the whole night in prayer (Luke 6:12). It was so important not to be governed by the sight of the eyes or the hearing of the ears in any choices based on personal preference. I wonder how much of that fateful night was spent over the question -- perhaps the agonised question -- of the problem posed by Judas Iscariot. In any case, His choice was quite a deliberate one, and it was an informed one too. For Him to know the Father's will was to obey it by the Spirit, however great the cost in terms of His own suffering. He obviously prayed about Lazarus (John 11:41), and may well have stayed the three days away from Bethany as a result of the Spirit's guidance. It must have been painful for Him to bear the reproaches of His beloved Martha and Mary -- "Lord, if thou hadst been here ...". Humanly speaking He might have longed to hasten to them at the first moment of their anguished appeal. Had it been the will of God, He would doubtless have been there, but His [73/74] prayer life and the Spirit's check called for the temporary and wise delay. Then there was the question about the cross, posed in John 12:27: "What shall I say, Father save me from this hour?" The prayer would doubtless have been answered if He had so prayed, but He never did. The question was even more acutely voiced in the garden: "Abba, Father, if it be possible, remove this cup from me ..." (Mark 14:36). If I am correct in the suggestion that in His prayers the Lord was seeking to know the Father's will, it is clear that there would be no question about doing it. He went on to the cross. It was by the eternal Spirit that He did so (Hebrews 9:14 ). This is always true wisdom -- to obey known light. Not that the Lord advertised the fact of His having the fullness of the Spirit. In fact He said surprisingly little about it. We can have no doubt, though, that His movements -- or His lack of movement -- arose from that filial Spirit which is described as "the fear of the Lord". "The Spirit of knowledge and of the fear of the Lord" means that to know is to obey. One of the striking features of our Spirit-filled Saviour was His evident reverence for the Word of God. From His wilderness sword-thrusts against Satan ("It is written") to His last Calvary utterance ("Into thy hands I commend my spirit") the Lord Jesus rightly based His whole life and ministry on the Bible. He understood it as none other ever did. He obeyed it in its entirety as none other could. He fulfilled it in the power of the seven-fold Spirit of God. The fact that the Holy Spirit gave Him power to fulfil the Scriptures did not diminish the personal costliness of such obedience. He enjoyed its promises, but He must have been challenged over and over again by the stark horrors of what is written there of His redemptive sacrifice. He not only became familiar with the glorious commission recorded in Isaiah 61:1: "The Spirit of the Lord is upon me; because the Lord has appointed me to preach the good tidings ..." but He had to prepare for the time when He would have to say: "I gave my back to the smiters, and my cheeks to them that plucked off the hair; I hid not my face from shame and spitting" and in a wonderful way He kept true to the subsequent words: "I have set my face like a flint ..."(Isaiah 50:6-7). For us, mercifully, the trials that await us are usually unexpected ones; for God's Christ they were all too clearly predicted in the prophetic Word. In a further article we will consider something of what Isaiah himself had to say about the sacrificial death of the Lord Jesus, but we must never forget the deep costliness to Him of accepting the government of the Scriptures at every point of His earthly life. Happily the same Spirit who interpreted to Him the passages which speak of dread sufferings, gave also to Him the inspiring comfort of God's Word. Even in the darkest hours He was able with confidence to look forward to that "third day" of which He so consistently spoke, and He must have found grace needed to go through with it from the predictions that He would see His seed, that the pleasure of the Lord would prosper in His hand, and that He would see of the travail of His soul and be satisfied (53:10-11). So it is that the Lord Jesus has become for us the Pioneer of that Spirit-filled life of blessing available to those who live by God's Word. Such a life is never easy, but it has been made gloriously possible even for us since God has sent forth the Spirit of His Son into our hearts and we, too, may cry, "Abba, Father". This brings us to the most notable reference to Christ's experience of the Spirit, namely, the one which formed the basis of His first -- and only -- sermon in Nazareth. We read in Luke 4:16-21 how He described His ministry to the people who must already have been very familiar with Him but had missed Him for a time while He was in Judea and now crowded to hear what He had to say in His home town: "The Spirit of the Lord is upon me; because the Lord has anointed me to preach good tidings ... to bind up the brokenhearted, to proclaim liberty to the captives ... to proclaim the acceptable year of the Lord" (61:1-2). Perhaps they listened to this familiar Scripture with impatience, since what they were seeking was something sensational. This people of Nazareth wanted to see some of His miracles. What they got was the message of inspired Scripture. The Lord made it plain [74/75] that even though He was able to heal the sick, His priority was the preaching of the gospel. The anointing Spirit was the Spirit of wisdom and understanding, as well as the Spirit of might, and so Christ concentrated on what God saw to be their greatest need, which was the healing of their souls. What was more, His gospel was for all nations, as it is declared in the quotation from Isaiah 42:1: "He shall declare judgment to the Gentiles ..." as the scope of His ministry. The Lord illustrated this by the experiences of Elijah and Elisha, but the people of Nazareth did not like this, refused to listen and turned upon Him in angry rejection. "But he passing through the midst of them went his way." The actions of Jesus were prompted by this spiritual discernment which penetrated to men's deepest needs. The obvious example of this was His instant response to the sudden appearance before Him of the paralysed man who had been let down through the roof: "Son, your sins are forgiven" (Mark 2:5). It may be that for the moment the healed man was more thrilled at being able to walk than at his spiritual healing and forgiveness, but we may be sure that as time went on, and certainly in eternity, the pardon of his sins was what most mattered. For one fleeting second did the penitent thief hope that Jesus on the cross might do what the other crucified thief suggested, "Save thyself and us"? That would indeed have been a sensational miracle if his tortured body could be freed and healed. It was not to be. But what he did have was infinitely better, as manifested by Christ's words: "Amen -- today -- with Me -- in Paradise". This was the greatest miracle of all, though unobserved and unappreciated by men, for he became the very first blood-cleansed sinner to pass through the rent veil into the Holiest of All. When we speak of wisdom we tend to visualise something rather complex and abstruse, yet the words of the Lord Jesus (like the words of Isaiah which his hearers rejected as 'kindergarten stuff' -- 28:9) were simple and plain. We are never told that He spoke in an unknown tongue. What He did say, though, had all the power of God behind it. He said, "Follow me" -- and they followed. He said to the woman, "Go in peace" -- and she did just that. He called out, "Lazarus, come forth" -- and out of the grave came the man who had been dead for four days. The simplest words, spoken in the power of the Spirit, can be full of effectiveness. The Spirit of Christ is the "Spirit of counsel and might. There is a final statement about the Spirit-filled Christ contained in the words: "His delight shall be in the fear of the Lord" (11:3). Concerning this, Sir George Adam Smith, whom I once met in the home of a friend, has written: "The phrase may as well mean, He shall draw his breath in the fear of the Lord; and it is a great pity that our revisers have not even in the margin given to English readers any suggestion of so picturesque, and probably so correct, a rendering. It is a most expressive definition of sinlessness -- sinlessness which was the attribute of Christ alone. We, however purely intentioned we be, are compassed about by an atmosphere of sin. We cannot help breathing what now inflames our passions, now chills our warmest feelings, and makes our throats incapable of honest testimony or glorious praise. As oxygen to a dying fire, so the worldliness we breathe is to the sin within us. We cannot help it; it is the atmosphere into which we are born. But from this Christ alone is free. He was His own atmosphere, drawing breath in the fear of the Lord. Of Him alone is it recorded that, though living in the world, He was never infected with the world's sin. Even here on earth the Lord carried around His own atmosphere of 'the fear of the Lord which is clean, enduring for ever' (Psalm 19:9)." I wonder if that is what is meant by the Lord's words to Nicodemus: "No man ascended into heaven, but he that descended out of heaven, even the Son of Man who is in heaven" (John 3:13). He breathed the heavenly atmosphere even while He walked here on earth. As Dr. Adam Smith goes on to say, "And what is heaven to be if not this? God, we are told, shall be its Sun, but its atmosphere shall be His fear, which is clean and endureth for ever. Heaven seems most real as a moral open-air, where every breath is an inspiration, and every pulse a healthy joy, where no thoughts from within us find breath but those of obedience and praise, and all our passions and inspirations are the will of God. He that lives near to Christ, and by Christ often seeks God in prayer, may create for himself even on earth such a heaven, perfecting holiness in the fear of God." PRAYER is not the only thing, but it is paramount. When the Israelites emerged from Egypt to find themselves committed to a conflict, it may at first sight appear that Joshua was given the hard task as he led the fighting, while Moses himself chose a softer option by going up into the place of prayer. This was far from the case. Moses was the man who needed support in the well-nigh impossible task of keeping his hands aloft, while Joshua moved steadily into victory so long as those interceding arms were held up to heaven. At the end of that battle and with the assurance of Jehovah-nissi -- The Lord is my banner -- Joshua was informed that this divine warfare would continue "from generation to generation" (Exodus 17:16). Centuries later Habakkuk found himself committed to this spiritual conflict. It seems that his rather unusual name was derived from an intensive form of a verb which means 'to embrace'. It has been variously explained as one who lovingly embraces God's purposes or alternatively as a man grappling with spiritual problems in the locking embrace of a wrestler. The very first verses clearly show us the prophet getting to grips with a major problem, so I rather favour the thought of wrestling, especially as this is the idea of prayer suggested by Ephesians 6:12. For Habakkuk's main business was prayer. His short book does not deal with the usual ministry of a prophet, namely of speaking to men on God's behalf, but rather depicts the activity of speaking to God on behalf of His people. This must always be a prophetic priority: "He is a prophet, and he shall pray for thee", God said at the beginning of things (Genesis 20:7). For Habakkuk praying was no easy task. He lived in a troubled world, as we do. It is not necessary for us to preoccupy ourselves with the historical allusions in the book, but at least we can readily identify with a man who is bewildered by current events, especially among God's people, and tempted to question the activities -- or perhaps the inactivity -- of his God. We take the chapters one by one. It is not surprising that the man who so took God's interests to heart should be crying, "How long?" and be driven almost to desperation in his questioning, "Why ...?" On every hand he could see the enemies of the Church threatening to bring in defeat and destruction, and to him it looked as though the Lord would neither hear His servant nor deliver His people. This was not the petty questioning of a man over his personal problems, reasonable as that might be, but the vast question of God's interests in His redeemed people. Some of his words have an unhappy familiarity to us: 'spoiling', 'violence', 'strife', 'strife and contention', 'perverted judgment'. We feel so helpless. So did Habakkuk. But a man is never helpless when he has access to God. From verse 5 to verse 11 we have God's immediate response to the prophet's agonised complaint. It gave little reassurance and certainly offered no explanation, its tenor being a warning that matters would get still worse. Things were going to happen which would be hard to believe. Not that they were or would ever be out of hand. Oh no! The startling and dreadful events would be God's work: "For lo, I raise up the Chaldeans ...". The praying man must never lose sight of the sovereignty of God. Nevertheless the prospect was daunting indeed; there was no swift or easy answer to Habakkuk's enquiry. Having seemingly prayed himself to a standstill Habakkuk turned away from God to muse with himself: "I will stand upon my watch, and set me upon my tower, and will look forth to see what he will speak with me" (v.1). Perhaps we may rightly interpret these words to mean that he would stop speaking for the moment and listen to what God would say. He seems to have realised that such an activity would be fiercely contested so he would have to mount guard over this place of communion, making the place of prayer a veritable fortress and resisting every effort to make him quit it. Listening is always an important part of praying; like the telephone, prayer is not a Tannoy [(brand-name) audio] system for hailing God but a two-way instrument of communication; but if prayer is subjected to many pressures, perhaps quietly listening to God is even more contested. How long he had to wait we do not know. In the narrative we get the impression that the divine response was immediate and this is not surprising, for often God's greatest difficulty is to get His people to be quiet before Him. God's words spoke of both vision and action: "Write ... read ... run ...". Far from being a waste of time to wait before God, this is the surest and quickest means of getting things done. The central chapter of this short prophecy provides the heart of Habakkuk's message. It has three main points, which I will take in reverse order. "But the Lord is in his holy temple; let all the earth keep silence before him" (v.20). It is not much use praying if we are not wholly convinced of the absolute sovereignty of the God to whom we pray. God is quite unmoved by the strange things which may trouble us here on the earth. In fact this verse suggests to us that earth's events are really decided in the hidden realms of heaven. The Lord did not reprove His servant for raising the many controversial points which he voiced in his prayer, but He quietened the prophet with the assurance that He knew all about them and was overruling in the violence and chaos of it all, insisting that it was due to Him, the Lord of hosts, that the nations of the earth were wearing themselves out "for vanity" (v.13). They did not realise their own futility, but it was to them, as much as to His own people, that He commanded: "Be still, and know that I am God" (Psalm 46:10). But He says it to us also. As we say -- sometimes, I fear, rather glibly -- 'God is still on the throne'. Appearances may be all against this, so much so that to use the phrase could be superficial and even smug. It is easy for us to say or sing it while we are in some safe and comfortable circumstances, but might not be so easy if we were in the earth's trouble spots. But even if it would not be easy, it would still be true. He is far above all. How can we be sure of this, for we are shut up to faith, never having seen that throne? Well, faith need not falter, since the Word of God makes His sovereignty very plain. It does so in actual words, with strong assurances from the God who cannot lie. But it also does so in historical examples, not least in the Gospels. There are very few matters which are stated four times over in all the Gospels, but it is not without significance that in each one of the four we are told how the Lord Jesus stilled the winds and the waves. This was clearly a notable miracle, and in some of the accounts we are informed that the Lord actually walked on those tempestuous waters before silencing them. Others may have done some of the miracles which He performed, but nobody else has ever or can ever display this complete mastery of the creation. It may not strike those unacquainted with animals that His entry into Jerusalem on Palm Sunday was at all miraculous, but in fact the quiet acceptance of a rider by this unbroken donkey and its obedient progress through the midst of an enormous crowd-demonstration was a further and unique proof of the same mastery. This is a challenge to us all. For the most part the problems of my readers will not be as sensational as what happened to the apostles, but they may be just as acute to us. In my secluded home [77/78] I hear not only of oppressed believers abroad but also of divided churches at home and grieve at the satanic inroads upon the unity and spirituality of God's true people. It would not be difficult to become as dejected and desperate as Habakkuk or to cry out, as he did, in puzzled dismay at the way in which the enemy seems to be catching God's people in his net and generally having all his own way (1:15). If Christ is really the Head of His Church and if it is the work of the Holy Spirit to administer His lordship, then how much longer do we have to wait to see these facts in full operation? There can only be one answer to these questions and that is to keep on believing that the throne of the universe is occupied by our almighty Lord. What we must do is to wait and worship. And, of course, to go on praying. Though the vision linger, we must wait for it, for it will certainly come in God's own appointed time (v.3). When the writer to the Hebrews took up this verse, he focused the divine words of hope upon the person of the Coming Lord. "He who is coming will come, and will not delay" he wrote, adding his own comment that it will be "in just a very little while" (Hebrews 10:37). God may seem remote but He is working purposefully to a plan and that plan is one of universal glory: "For the earth will be filled with the knowledge of the glory of the Lord, as the waters cover the sea" (v.14). When the Lord Jesus breaks through into this earthly scene it will be so wonderful that it will have been worth waiting for. We must not be too surprised if the time is long. The Lord Jesus spoke in His parables of servants reasoning, "My lord delayeth his coming" (Matthew 24:48) and of the lord returning, "after a long time" (Matthew 25:19), while Peter explained that the delay is not due to any slackness on the part of the Lord but rather to His long suffering (2 Peter 3:9). In doing so he quoted from the Psalm of Moses and enjoined his readers not to forget that with the Lord "a thousand years are as one day". If that is the case, then perhaps we may suggest that it is not yet two days since the angels announced that "this same Jesus ... shall so come in like manner as you saw him going into heaven" (Acts 1:11). Habakkuk began his prophecies with the question, "How long?" It is one which the Church has long been posing, and it seems that the "souls under the altar" re-echo that enquiry (Revelation 6:10-11). For us, as well as for them, John recorded the divine injunction to "wait a little longer", for the purposes of God must await His wise choice of "the hour and day and month and year" (Revelation 9:15). The purposes of God take their time, but we may be certain that they will be totally fulfilled. The Lord Jesus will come again. Of that we may be assured. If therefore the depressing circumstances of the present darkness oppress our spirits, we must mount to our watch-tower and look again at what God has to say in His Word of the coming Day of glory. The seas around us may seem rough now but the time will come when that glory will cover the earth as the waters cover the sea. Habakkuk had to face the growing darkness of the Captivity. In that testing time he was to be silenced by the conviction that the Lord was in His holy temple. The captivity came and was eventually followed by the glad day of release. When the captives were back in the land, another prophet was privileged to call all flesh to be silent, only this time he was able to declare that God was on the move: "Be silent, all flesh, before the Lord; for he is waked up out of his holy habitation" (Zechariah 2:13). Perhaps that return from the Captivity was a tiny foreshadowing of the great and final Restoration of all things. Who knows? It may be that we are about to witness the supreme moment when the Lord will rouse Himself from His holy dwelling and come back with power and great glory. In any case we are advised to silence all our doubts and questionings, for that Coming is as certain as the dawn. We have worked back from verse 20 and through verse 14 and now find ourselves at the beginning of this second chapter. Here we are told of the divine ruling that God's justified servants must go on living by faith: "The just shall live by his faith" (v.4). The alternative rendering, "... by his faithfulness" does not lessen the thrust of the command, for what is faith if it does not make the one who exercises it faithful? Or could it be that implicit in this sentence is a reference to the faithfulness of God: "The just [78/79] shall live by His faithfulness?" What, after all, is faith but total confidence in the faithfulness of God? Nevertheless the New Testament makes it plain that the right translation is 'faith' and twice uses this sentence in connection with the initial act of faith by the believer. In fact the words, "The just shall live by faith" proved the foundational Scripture appealed to by Paul, and later by Luther and other reformers in their teaching concerning the justification of the sinner by faith alone. In Romans 1:17 the words are cited as forming the heart of the gospel message and in Galatians 3:11 as the complete repudiation of any idea of working for one's salvation. In both of these cases the emphasis is placed on the initial experience of salvation by which the repentant sinner is justified through the gospel. There is a third occurrence which is more advanced; it is addressed to those who are already believers and is used to remind them that we are never to be static in our faith but must always remember that every phase of the Christian life demands active faith. From the beginning at conversion to the climax of glorification, the believer must keep on believing. There is no other way of enjoying spiritual vigour and victory than by an up-to-date exercise of active faith. This quotation is found in Hebrews 10:38 and it was made to those who had a good record in the past but who were being subjected to new testings and so were in danger of losing heart and failing to hold on to the promises of God. The verse reads rather differently from our Old Testament version of Habakkuk, for it uses the Greek Version (as Hebrews often does) and instead of saying, "His soul is puffed up and is not upright in him", it reads, "If he shrink back, my soul has no pleasure in him". There is not a lot of difference. Questioning and reasoning produce a 'puffed up' soul; they also result in a shrinking back instead of pressing on. Such behaviour by those who have already tasted God's grace is obviously displeasing to Him. Habakkuk, then, and the Hebrew Christians, and we of the Twentieth Century must maintain our place with those who keep right on in faith and so bring pleasure to the heart of our God. This third chapter is largely poetical, but it nevertheless has a very practical message for us. In it Habakkuk reports his own reaction to God's speaking and presents us with a challenge to our own response to God's Word. We have faced the problems of faith; we have been given the answer in terms of the divine sovereignty, the divine objective and the divine call. Can we match this Old Testament character in his triumphant victory of faith? True to his name, he embraced the promises of God, but he did more than that for he also embraced the opportunities of the time in which he lived, a time which he described as "the midst of the years" (v.2). It may be that we have tended to skip over the books of the Minor Prophets, imagining that they have little relevance to our own times. That, of course, is quite untrue. In previous articles I have tried to show that Haggai and Zechariah are full of up-to-date helpfulness for the days in which we live. Now I hope that in Habakkuk we can find great gain in paying attention to his example. The substance of his prayer forms the title of this article: "O Lord, revive thy work in the midst of the years". There must be wrath, but may there also be mercy. We are under no illusions as to our own unworthiness but we have immense expectation in the undeserved goodness of our gracious God. Habakkuk had been told that he must be prepared to wait. What should he do in this interim period, "the midst of the years"? How could he best wait? Surely by redoubled effort in prayer. In verses 3 to 15 he sought to describe what he had heard of God's past activities in salvation and judgment, with the confession that this exercise left him with his heart panting and his limbs trembling. There was nothing slick or superficial in his plea for revival. It is an awesome matter to be found in the midst of a divine visitation. Yet he prayed that there might be one. [79/80] It is never enough to think only of the past and it is useless to try to get the Lord to put back His clock. The thrust of our praying must be that now, in our day, God will express Himself in terms of salvation and that the power hidden in His hand (v.4) might once more be released (v.13). The man who prayed that God would renew His activities was no light-hearted optimist. His was not a request for exciting sensations but it was a humble plea that the holiness of God might be manifested, humbling all pride and enforcing His own rule. For all my Christian life I have heard God's people praying for revival and have added my Amens to their prayers. But how will they be answered? Will it be in local and temporary visitations by the Spirit of God, or will it be the final showdown of the Return of Christ? I do not know. Nor do I think that Habakkuk had any clear idea of how and when God would work in answer to his prayer. He was prepared, if necessary, to face even darker days before the great dawn. One thing is clear, though, and that is that his recipe for unanswered prayer is simply to go on praying. He began with the complaint, "How long?" (1:2). God's reply seems to suggest that he would have to go on waiting still longer. Now, however, he had recovered his spiritual second wind and realised that the important thing was still to go on praying. In doing so he seems to have found that promised "peace that passes all understanding" -- "That I should rest in the day of trouble" (v.16). What is more, the revival began at once in his own heart. How else can we describe his over-flowing joy in the midst of surrounding calamities and his delighted report that he was enjoying mountain top experiences (vv.18-19)? His prophecy begins with a cry of anguish and ends with a dedication to the choirmaster and stringed instruments. Persistence in the place of prayer brings its own reward. I have said that Habakkuk did not know how his prayer for revival would be answered. It certainly seems, though, that he expected no sensational changing of the situation straight away, but rather braced himself for further times of testing. I am aware of the hopes of many that the Return of Christ will be preceded by out-poured blessings on a new scale. I will rejoice if their expectations are fulfilled. For me, however, the main stress of New Testament teaching on this subject seems to be on the increasing evil of the "perilous times" of the last days. In any case, Habakkuk's closing verses are full of inspiration. "Let the worst happen" he sings, "let every kind of evil come upon us -- no blossom, no fruit, no meat, no herd ... yet I will rejoice in the Lord, I will joy in the God of my salvation." So the story which began with gloom ends with glory. It is possible to be gloomy and still pray, but it is quite impossible to remain gloomy when one is praising the Lord. If Habakkuk were asked what there was to be jubilant about, he could only answer that he rejoiced not in things but in the Lord Himself. THIS has a connection with the previous parenthesis, for it concerns Ahab's son, Joram, and the fulfilment of the prophecies which Elijah the Tishbite had made about him. THE purpose of the parenthesis is to explain why Joram was at that time in the family palace at Jezreel. He had gone there for convalescence. When Jehu was commissioned to execute this evil king, he fully expected to do so at Jezreel and for this reason tried to avoid any information reaching the king there (v.15). IT was to Jezreel that Jehu was seen to be driving with such furious determination (v.20) and in fact it was there that Jezebel was killed in fulfilment of Elijah's prophecy (v.36). In a strange way, however, God had other purposes for the appointed judgment on Ahab's son, and Joram helped to fulfil them by his action in going out to meet the aggressor. God had determined the actual place where the death was to take place; it was to be in the property which Ahab had so wickedly acquired but which never bore his name, for it was still called "the portion of Naboth the Jezreelite" (v.21). AT first Joram was confident that he could handle the situation with regard to Jehu and went out to challenge him. Whether his action was due to foolhardiness or whether it was genuine courage, the fact remains that he went as far as Naboth's land before realising too late that he had been betrayed. IT was no chance happening that the encounter took place on "the portion of the field of Naboth" and that it was there that Ahab's son met his end. His body was thrown out of the chariot and abandoned in that same field. GOD had announced His condemnation of Naboth's murder by Ahab and Jezebel and affirmed that it would be avenged. Jezebel's end was to be that her body would be devoured by dogs in the city of Jezreel (1 Kings 21:23) and so it was. So far as Ahab's son was concerned, the place of reckoning would be the very place which had been so wrongfully acquired by his parents. After he had made the kill, Jehu remembered the prophecy made at the time (v.26). He little realised how he himself would be used by God to fulfil it. THE fate of both Joram and Jezebel makes gruesome reading, but it pinpoints the accuracy of God's judgments. He had made it clear that Joram's death was to be in Naboth's field, and so it happened. We may take courage from this happening by realising that if the Lord watched over the actual place and circumstances of the deaths of such sinners, He will not be less concerned with the place and manner of the departure of His believing people when the time comes for us to leave the earth. We can trust Him that He has got it all in hand.